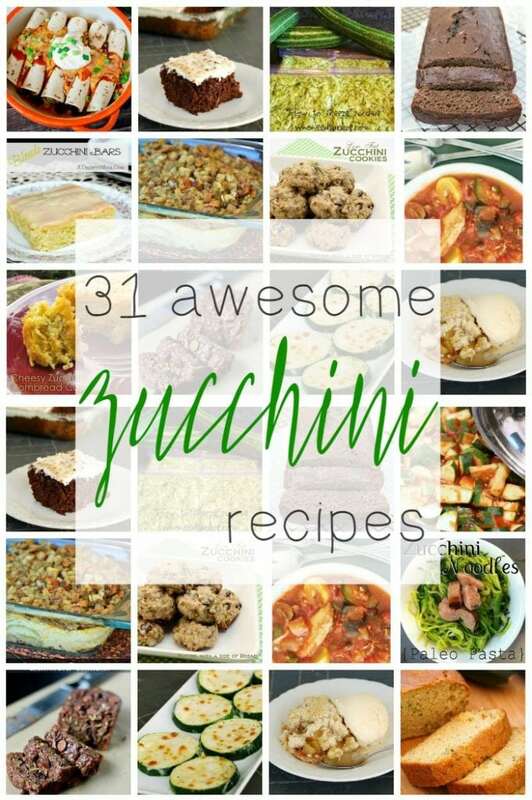 You are here: Home / collection / Pumpkin Recipes – The ULTIMATE Pumpkin Recipe Collection! 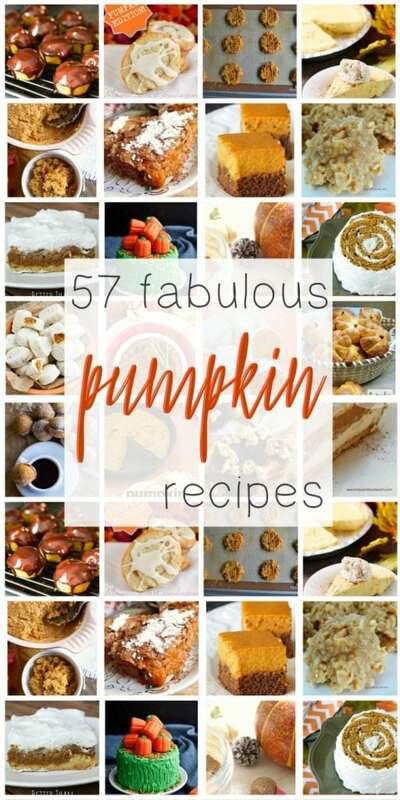 Pumpkin Recipes – The ULTIMATE Pumpkin Recipe Collection! 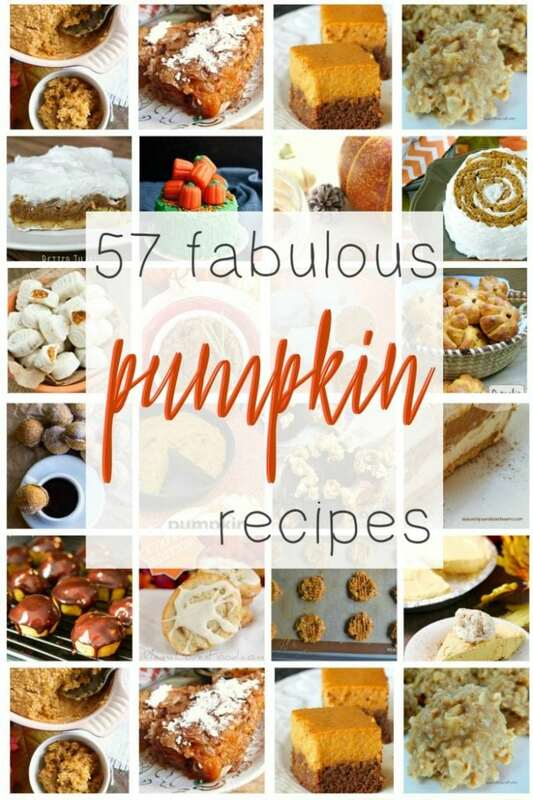 This huge collection of pumpkin recipes is the only place you’ll need to stop this fall for your ALL THINGS PUMPKIN needs! The idea of fall is my absolute favorite season. I know that sounds a rather strange way to put it, but living in Florida we don’t actually get a true fall. So we turn our air conditioners down a touch, drink pumpkin spice lattes, and insist on wearing long pants despite the stifling heat. I love it, but I’d be lying if I didn’t admit I’d love it more if we actually had fall weather to go along with the rest! This incredible collection of pumpkin and pumpkin spice recipes is enough though to get me through it without feeling like we’ve missed out entirely. And bonus, no jackets over the Halloween costumes at least! What’s YOUR favorite season, and do you get a fall where you live? This dish is perfect for serving a crowd during the holiday season. Heck, it’s even great for regular ol’ weekend brunch. Bonus: it tastes like pumpkin pie. M’mm…. Donuts are one of my (many) weaknesses. Pumpkin Spice is probably right there up at the top of that list, too. Which is why I can’t get enough of these pumpkin spice donuts! That glaze, though….oh my goodness. 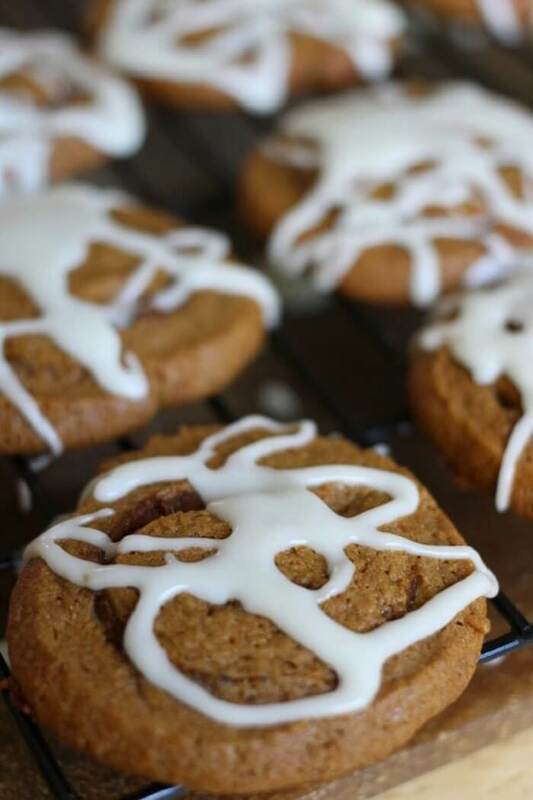 Cinnamon roll cookies are simply to die for. They’re all the best parts of a cinnamon roll in one cute and tiny little bite sized cookie package. This pumpkin version just takes them over the top! I love love LOVE pumpkin chili. It’s meaty, it’s hearty and filling, it’s comfort in a bowl with just a hint of sweetness from some cinnamon. I think you’ll love it, too! The great thing about mug cakes is that they’re just enough for one! Meaning….you don’t have to share. 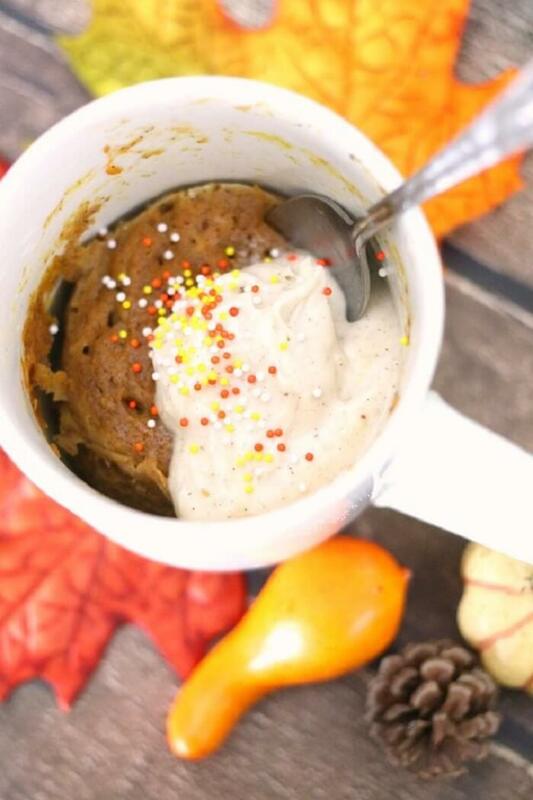 And you definitely don’t want to share this pumpkin spice mug cake. Also….there’s no flour, so it’s perfect for the low carb or gluten free crowd! Imagine biting down into a warm cinnamon roll fresh from the oven. Now imagine that cinnamon roll is actually a cookie. And imagine that cookie is a gingersnap cookie. With pumpkin filling. M’mmm…. It just doens’t get much better, folks. So you say you love pumpkin pie, but you don’t love making pies? And you looooove cute little bite sized foods? 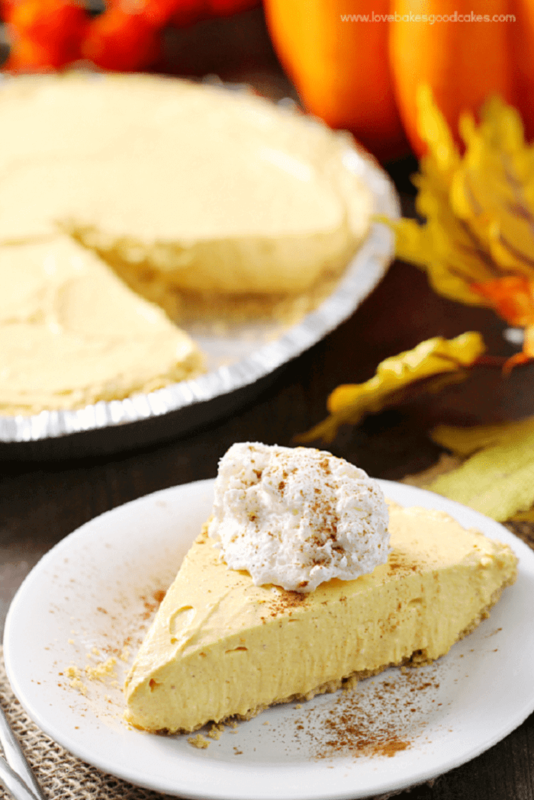 Well, guess what – this pumpkin pie bite recipe is for you! Y’know how store bought spices sometimes have that kind of weird….perfume-y smell to them? You won’t find that with this homemade pumpkin pie spice mix. Plus, you can tweak the proportions to just your liking! Be sure to make a big batch so you always have some handy when you need it! This ice cream recipe is just what you need when you’re craving fall and pumpkin spice, but it’s still a bajillion and a half degrees outside. 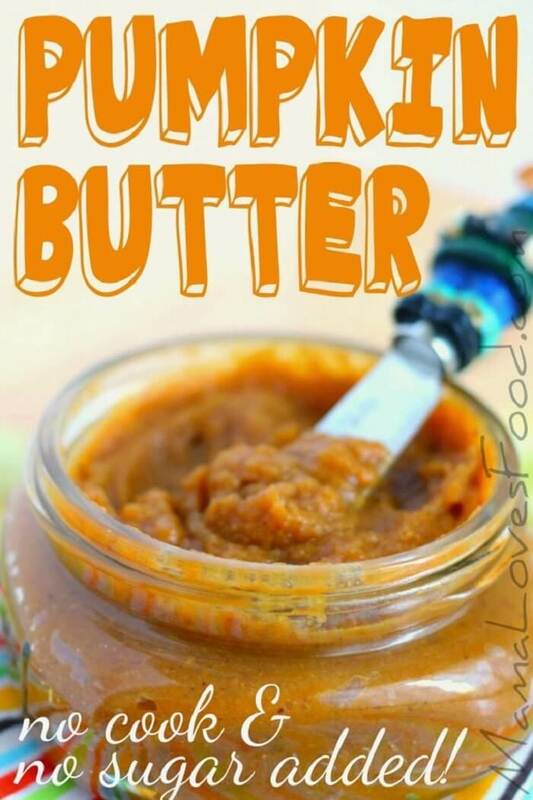 This pumpkin butter is SO GOOD. Not only is there no cooking involved, there’s NO added sugar! That means you don’t have to feel guilty about spreading it on your morning pancakes, or adding a dollop to your bowl of vanilla ice cream, or heck…eating it straight from the jar! 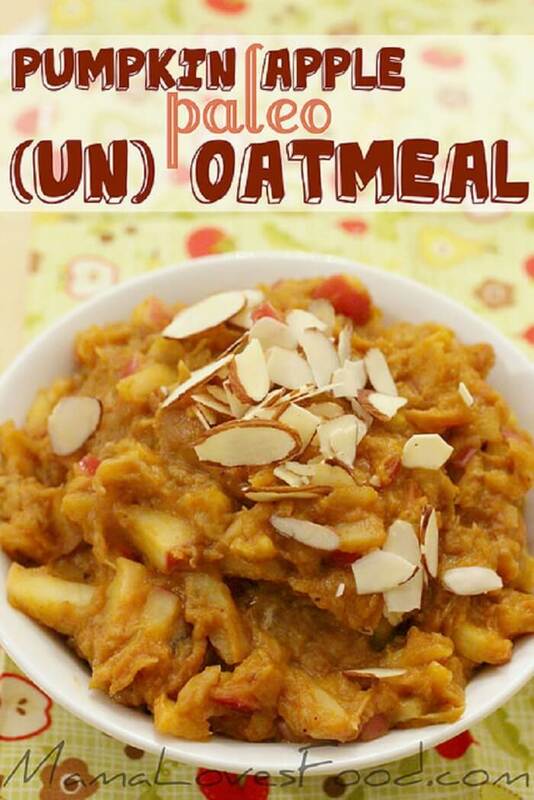 This (un)oatmeal recipe is perfect for those of us who try to avoid grains! It’s a great way to use those apples from the u-pick orchard, or some of that pumpkin you have leftover from your fall baking expoits. 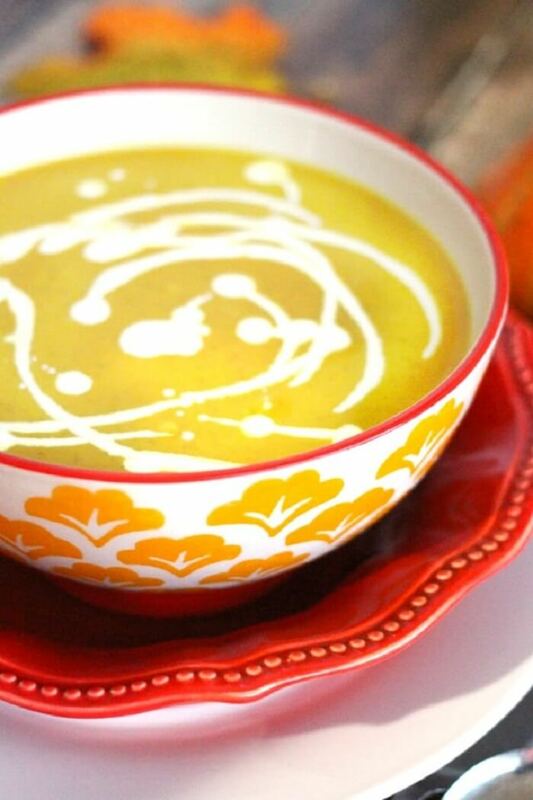 You won’t believe how deliciously easy this soup is to make. It takes just 10 minutes from start to finish and only has 5 (yes, FIVE) ingredients that you probably already have on hand! These are so delicious. I have to literally stop myself from eating them all when I make them because they are THAT good. With just a touch of sweetness, they almost pass as dessert! They’re perfect for serving with your Thanksgiving dinner, or just toss a few in your lunchbox to snack on at work! 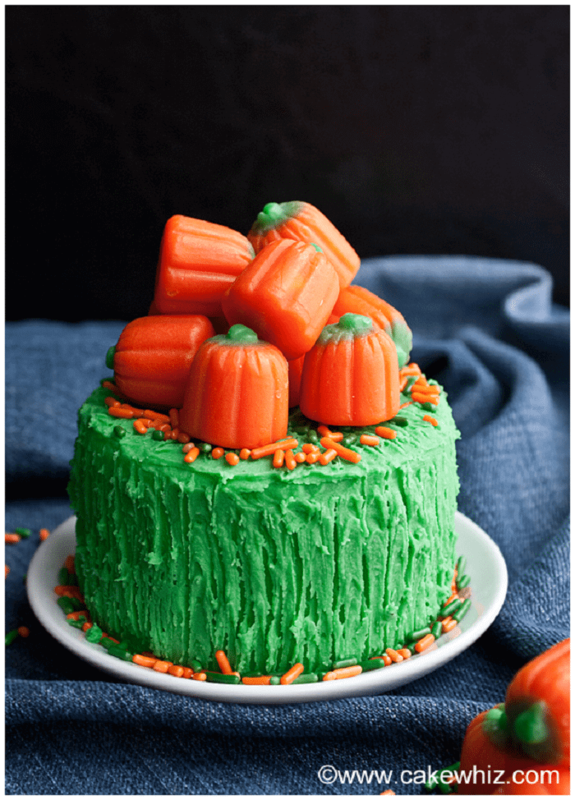 No list of pumpkin recipes would be complete without this classic. Oh, and what a dessert it is. 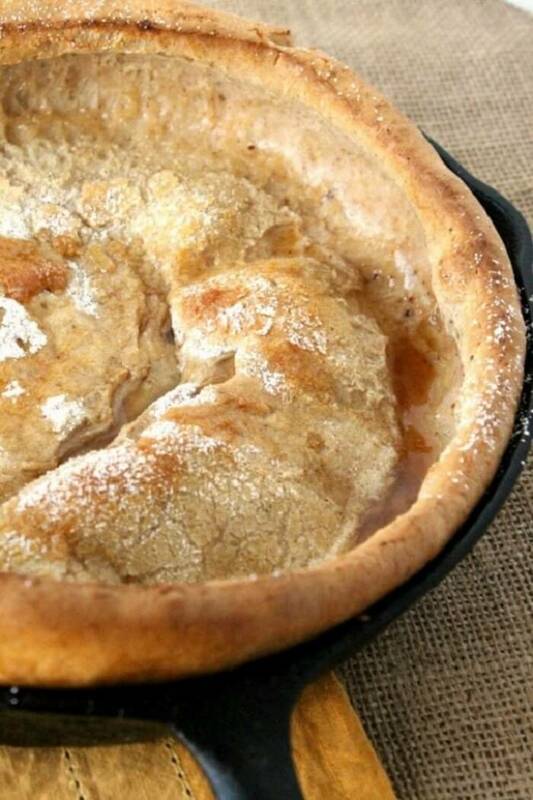 I recommend making your own pie crust (m’mm….so buttery and flaky), but store bought would work in a pinch. You can even make it ahead of time and just reheat it when you’re ready to serve! This makes a great after school snack for the kiddos! Or better yet….put it all together in a pretty bowl and serve it to your guests for dessert – they’ll think you made it from scratch! When the holidays have come and gone, but you’re not quite done with the holidays….these cupcakes are what you turn to. 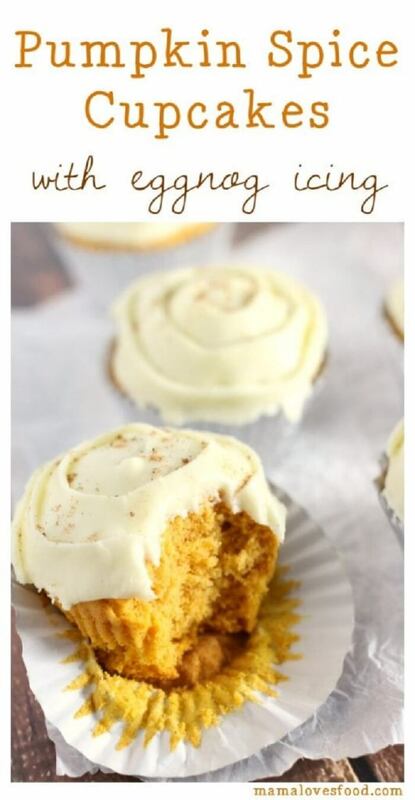 They’re a great way to use up all your leftover pumpkin and eggnog! 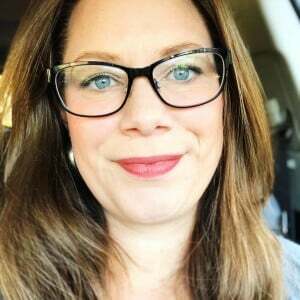 Skip the long coffee shop lines! Don’t pay those coffee shop prices! This drink is better than any you could buy anywhere (and a lot healthier, too). 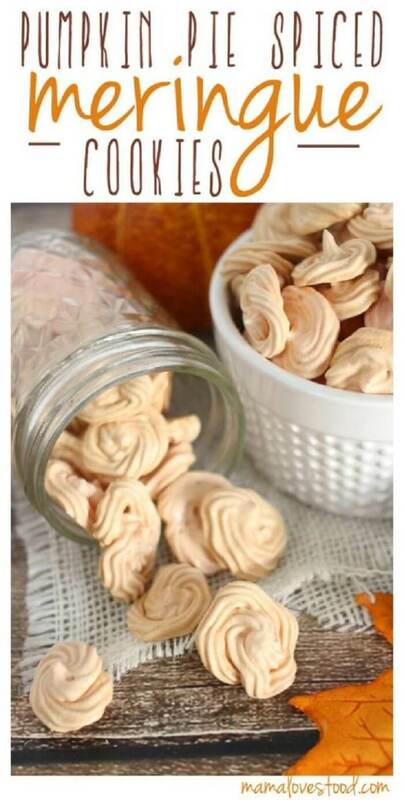 Meringue cookies are so much fun to make! They’re fluffy and yummy and you can pipe them into whatever shape you want! Get the kids involved with this one, I bet they’ll love helping. 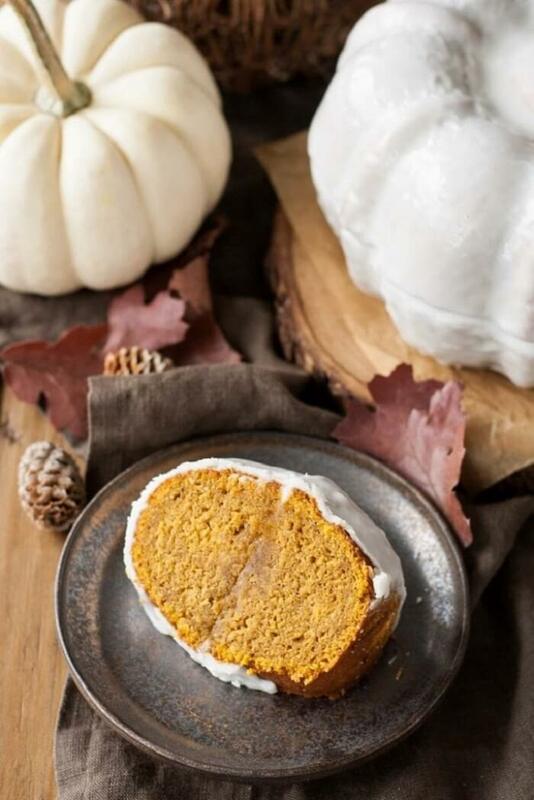 If I had to choose just one pumpkin recipe to make forever and ever…it would be this one. Simple syrup is really just a thickened sugar water that’s used in a lot of beverage recipes. You can add it to your coffee (did somebody say pumpkin spice latte??? 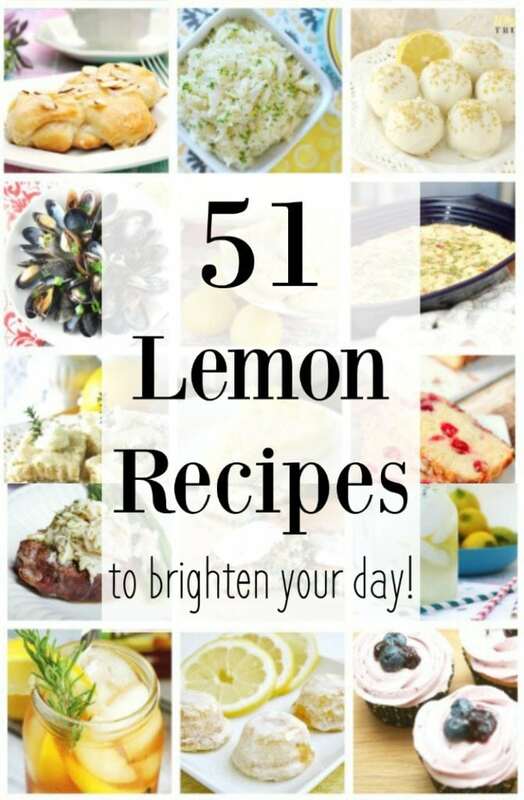 ), your tea, your milk, or use it to whip up some insanely yummy desserts. Breakfast. The most important meal of the day. 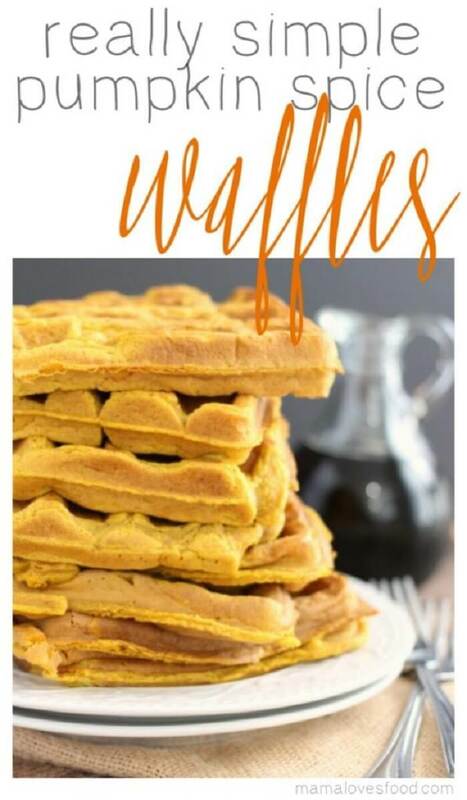 These pumpkin spice waffles are perfect for back to school mornings! 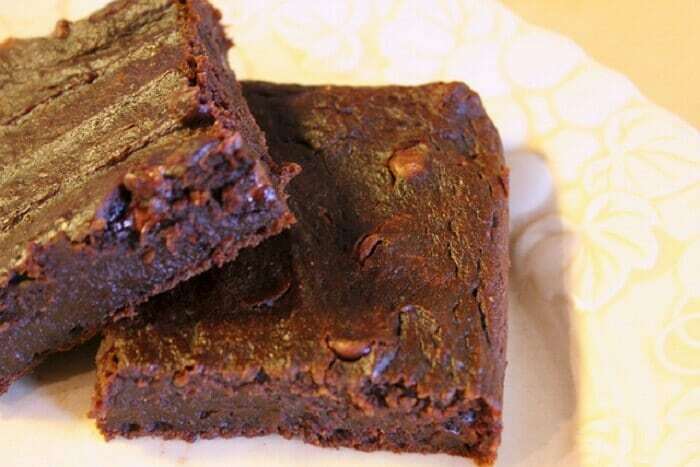 Who knew you could make brownies even better than they already are, simply by adding a little pumpkin and a few spices to them? M’mm… I’m drooling. This is one of my all time favorite soups to make. It’s slightly sweet, yet still savory and it takes no time at all to make! In fact there have been a few times I’ve had late night hunger strike, and this is what I chose to make because it’s that easy (and yummy)! 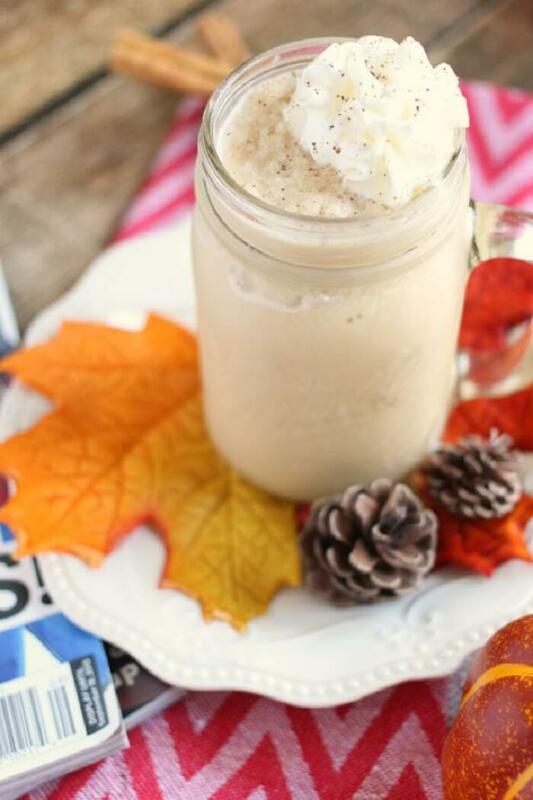 Want all the flavor of pumpkin pie and none of the work? Ta-da! Enter: two minute pumpkin pudding. Seriously. Just two minutes. It’s great for last minute entertaining (or late night snacking)! The vegan life is not the life for me. Cheese. I could never go without it. 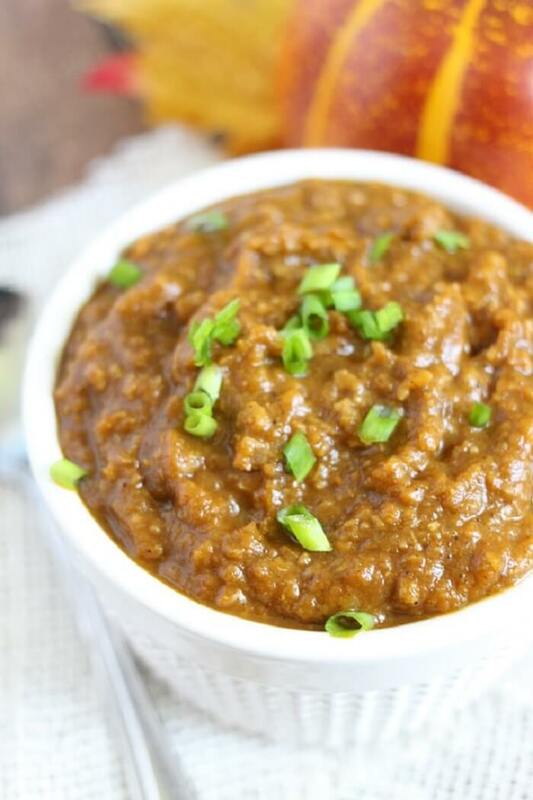 That said…..this vegan pumpkin chili totally knocked my socks off! Who knew?! Shop our Amazon affiliate links for everything you need to make ALL THINGS PUMPKIN! Everybody knows the best part of a donut is the hole! 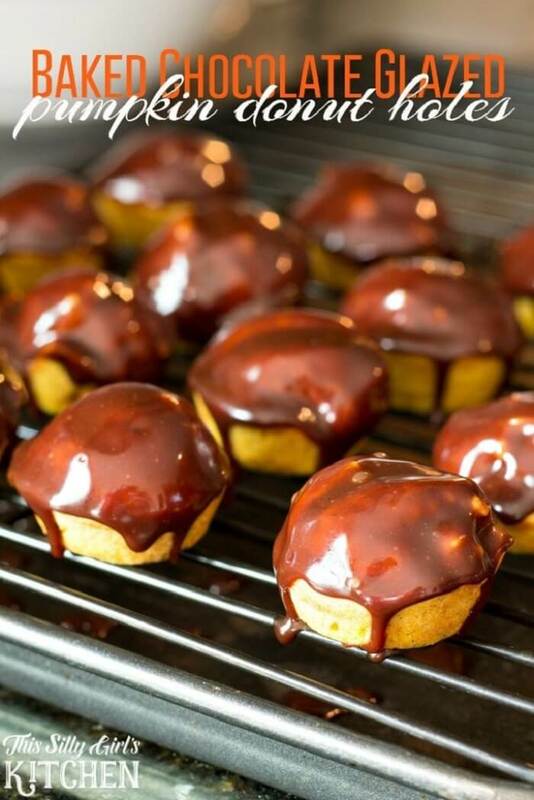 These pumpkin donut holes with chocolate glaze are easy to make and oh so yummy! Are you a cake person or a pie person? Can’t decide? No problem. This dessert has got the best of both wrapped up in one yummy bite! 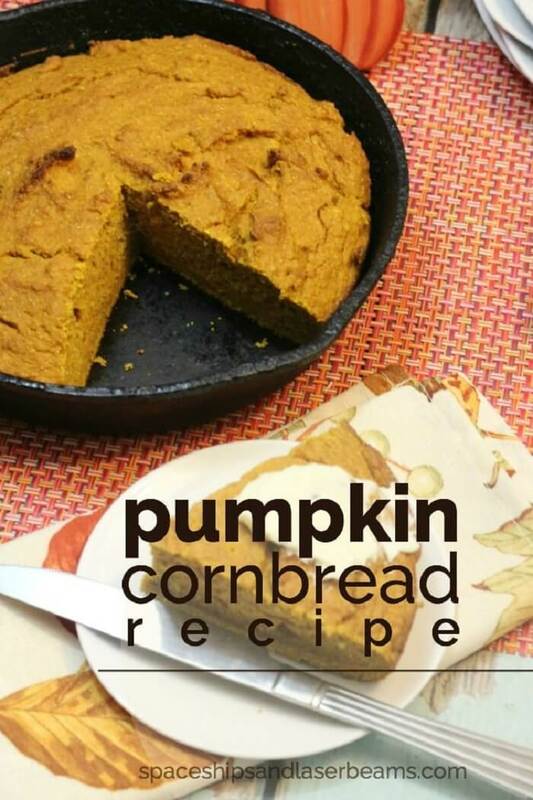 How amazing is this pumpkin cornbread recipe?? 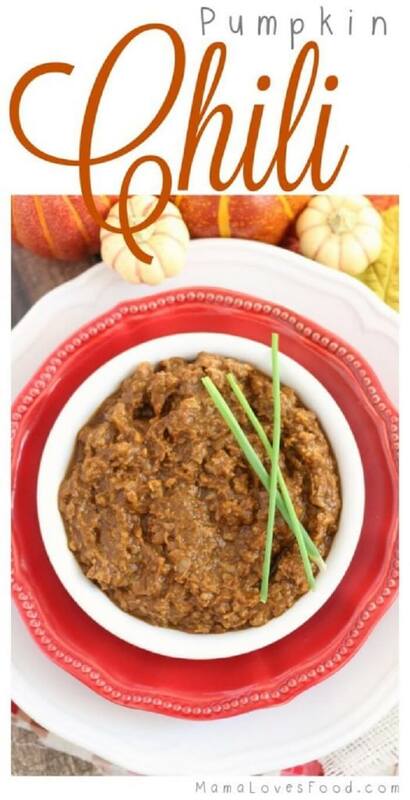 It’s great on it’s own as a snack or serve it with a big bowl of pumpkin chili! Yum! This pumpkin pie is easy, delicious, and oh so yummy. 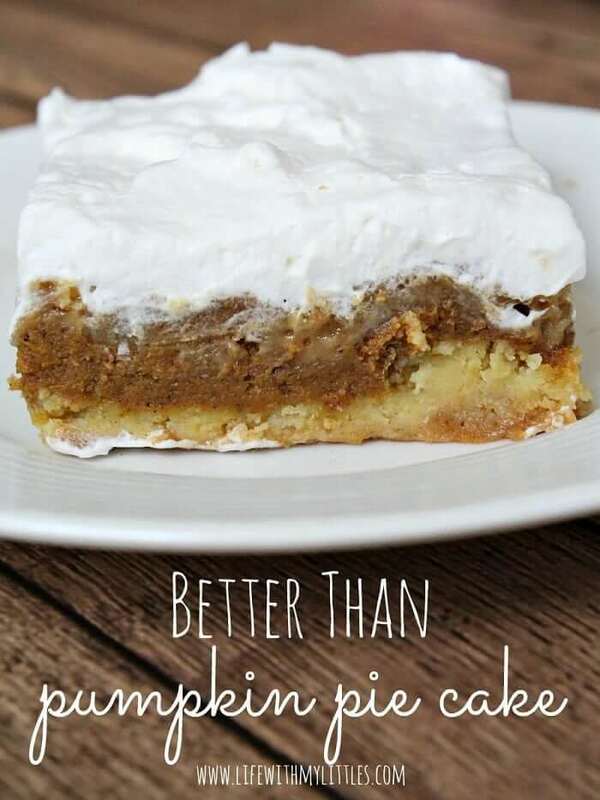 It’s not overwhelmingly pumpkin-y like a lot of classic pumpkin pies, so even those who aren’t pumpkin pie fans (yes, yes, I KNOW that’s weird, but there are pumpkin pie haters out there) will love it! 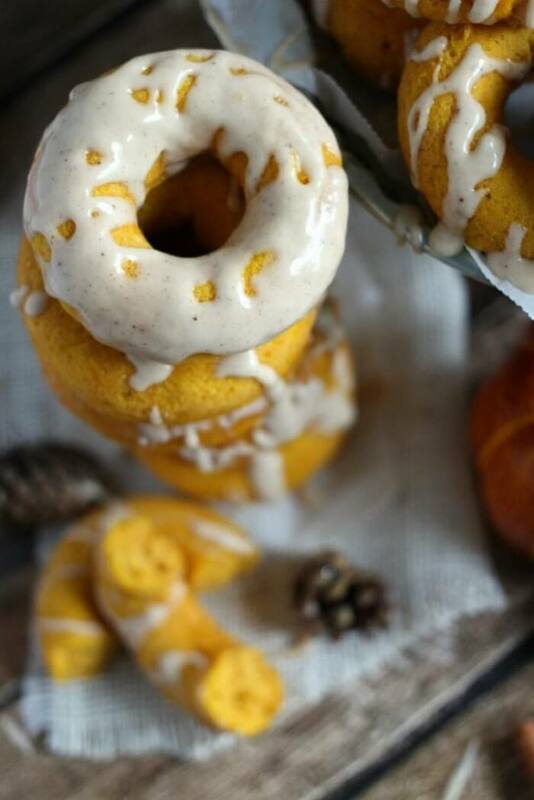 These pumpkin donuts are baked, giving them a deliciously cake-like texture. 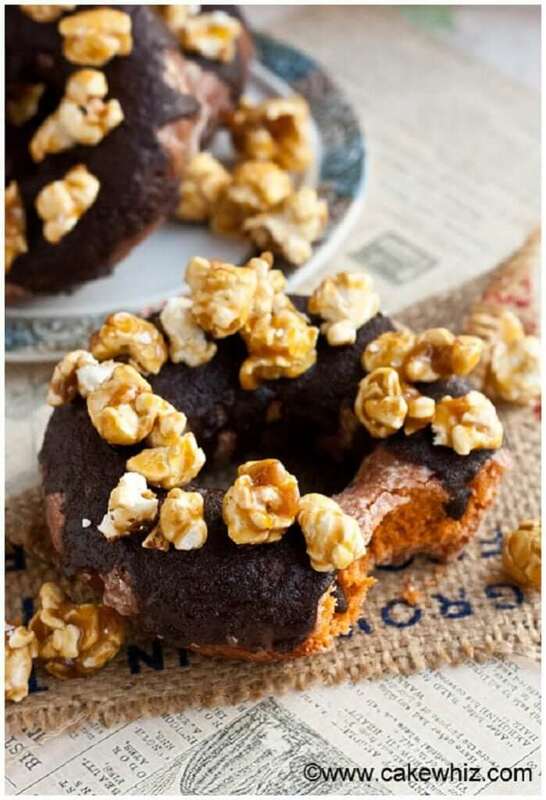 The ones pictured are chocolate glazed and topped with caramel corn, but you can dip them in powdered sugar or eat them plain. Enjoy them for breakfast, as an afternoon snack, after dinner dessert, or any time! Pumpkin pie just doesn’t get any easier than this. 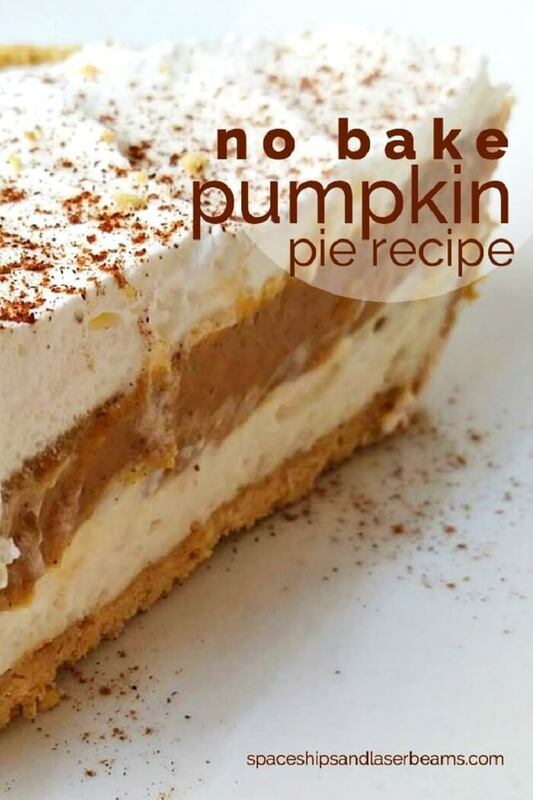 No bake means it’s the perfect dessert for the holidays because it frees up your oven for even more delicious food! These truffles are amazingly yummy. They’re easy to make and taste FANTASTIC. 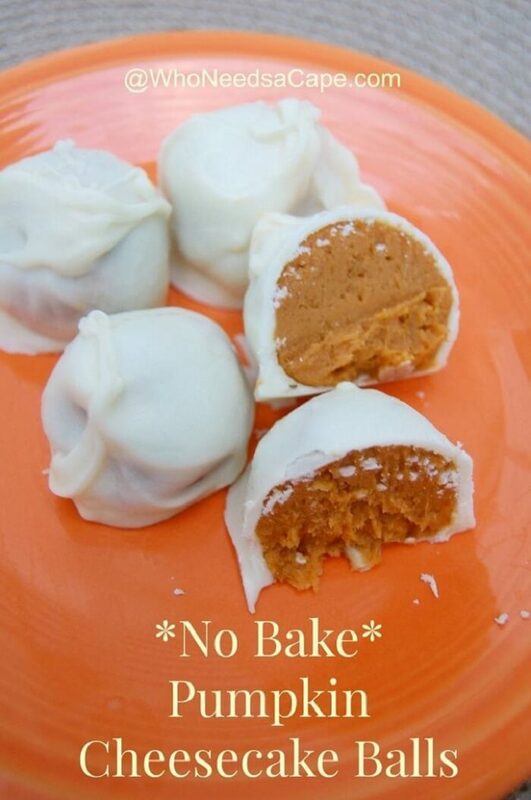 They’re basically the best pumpkin pie you’ll ever taste in one little bite sized package. Cheesecake can be a little intimidating. And then we get into flavored cheesecake and I’m just like….no. I can’t do it. 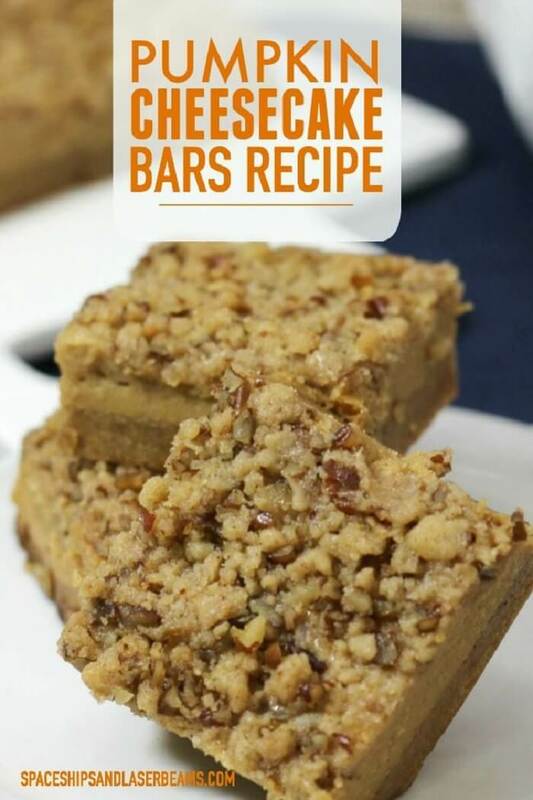 But this no bake recipe makes it easy! Anyone can make it, and it’s super yummy to boot. Let’s face it….the hardest part about baking cookies is waiting for them to come out of the oven and cool off enough to eat. 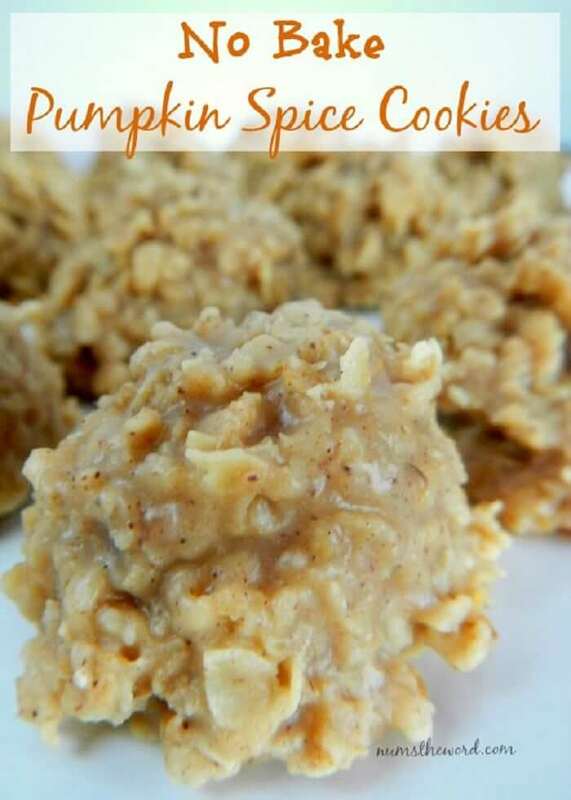 These no bake pumpin spice cookies take that waiting out of the equation so you can enjoy them even quicker! 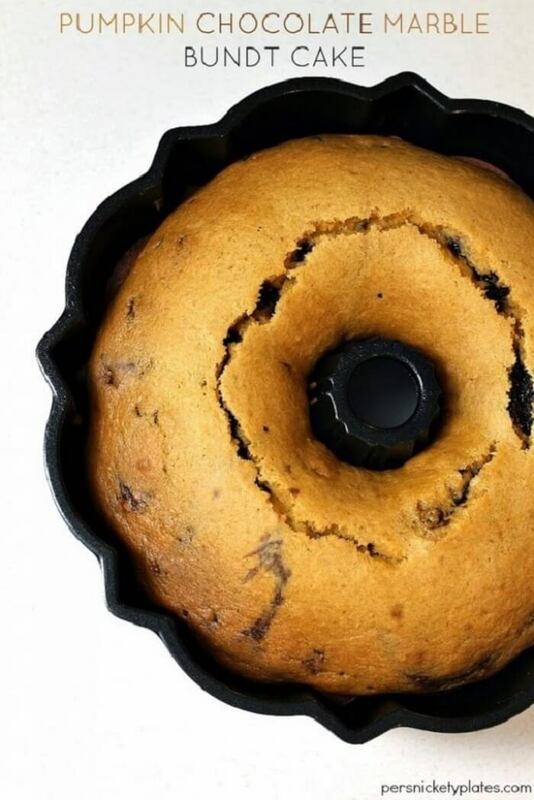 Roll up cakes can be a pain in the patootie to make….they break, they crack, they’re hard to work with. This recipe is basically foolproof! The cake itself is very forgiving and if it does break…no problem – you’ve got lots of yummy frosting to cover up any mistakes. 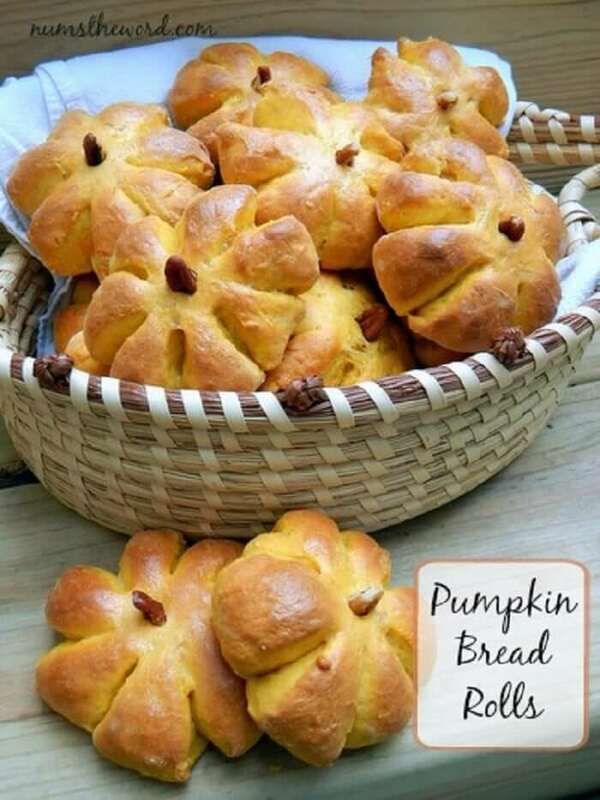 How absolutely adorable are these little pumpkin bread rolls??! They would make a fabulous addition to your holiday dinner spread! 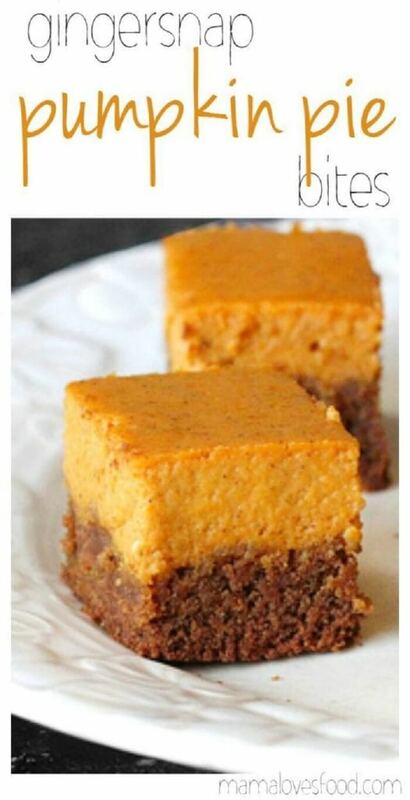 The best part of these pumpkin cheesecake bars is the gingersnap crust! M’mm…. So good! This is the kind of dessert that’s easy enough that anyone can make, and delicious enough that it will impress everybody you know! 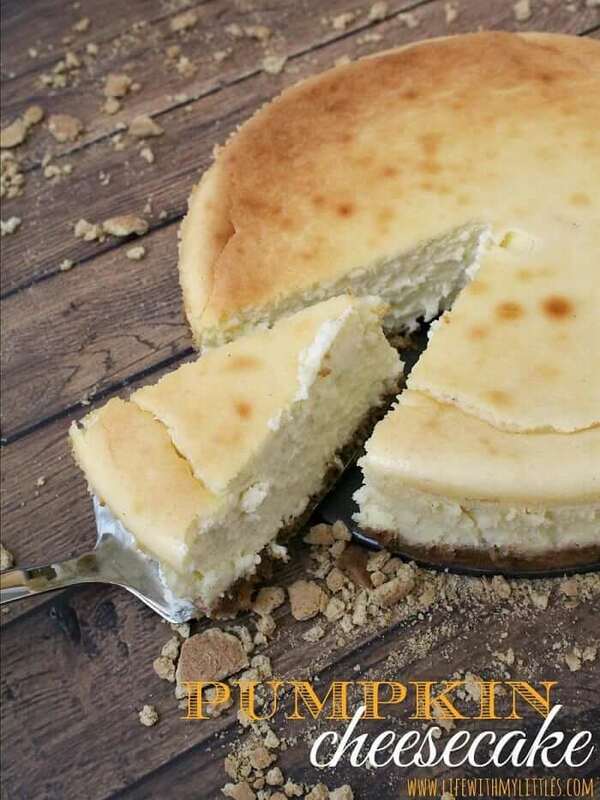 This cheesecake is actually made with pumpkin pie flavored coffee creamer instead of pumpkin puree, giving it just a hint of delicious pumpkin flavor. 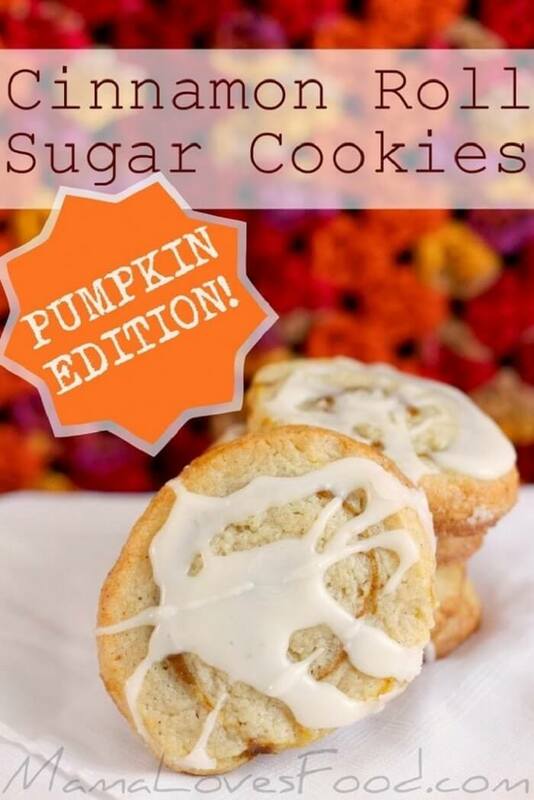 M’mm….pumpkin cookies are the BEST cookies. 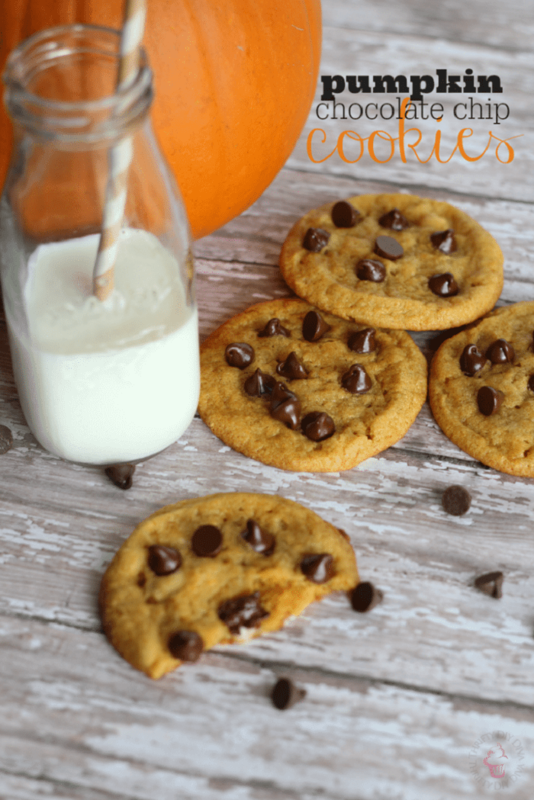 Pumpkin cookies with chocolate chips are even better. And guess what? They’re gluten-free, too! Bundt cakes are magically beautiful. Pumpkin and chocolate pair so well and cutting into this showcases the swirly magic the two of those flavors make together. 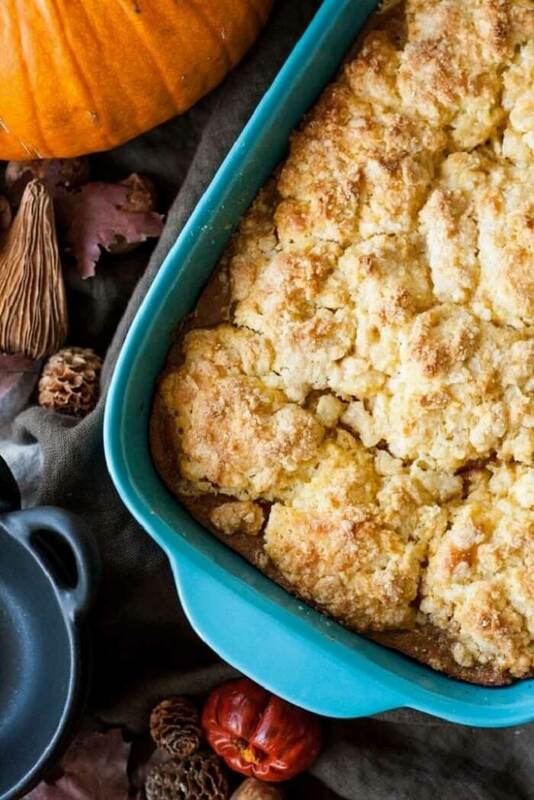 I can’t help drooling whenever I see this recipe for pumpkin cobbler. 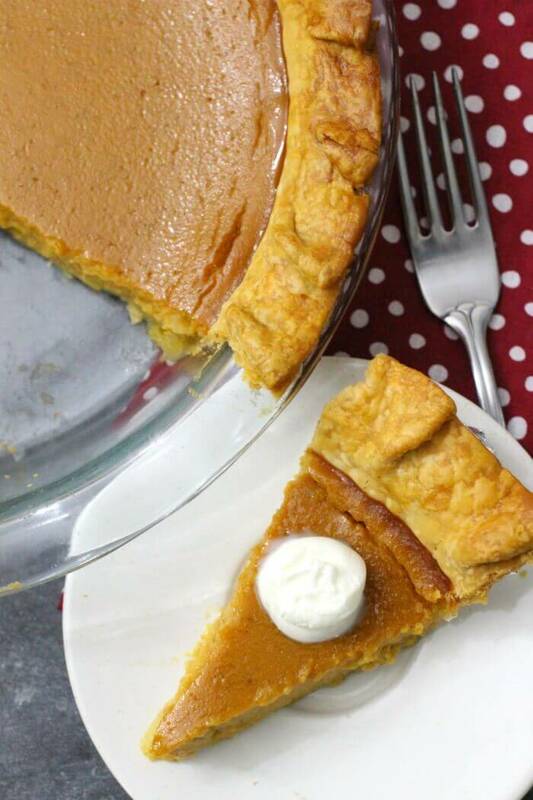 If you love pumpkin pie, but want to try something a little different, this is the recipe you want! 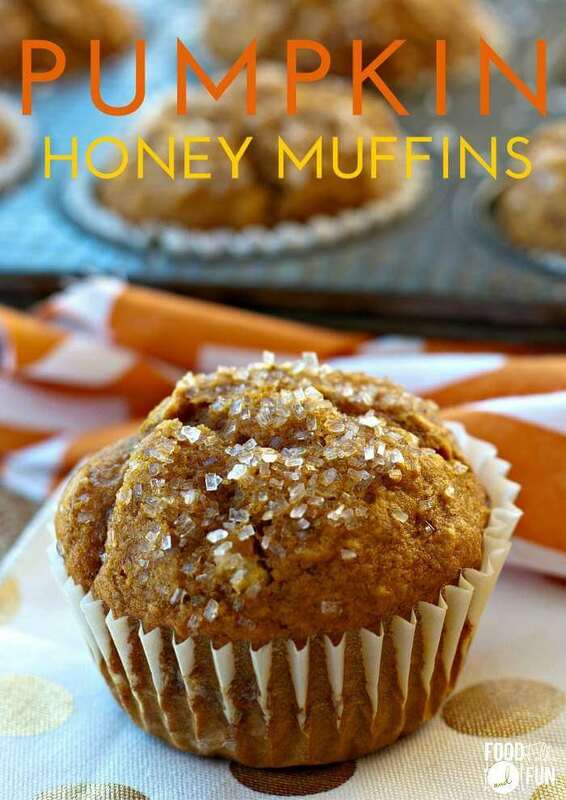 I love these muffins as a quick grab and go breakfast for early or busy mornings! They’re also great to pack in lunches or serve as an after school snack! 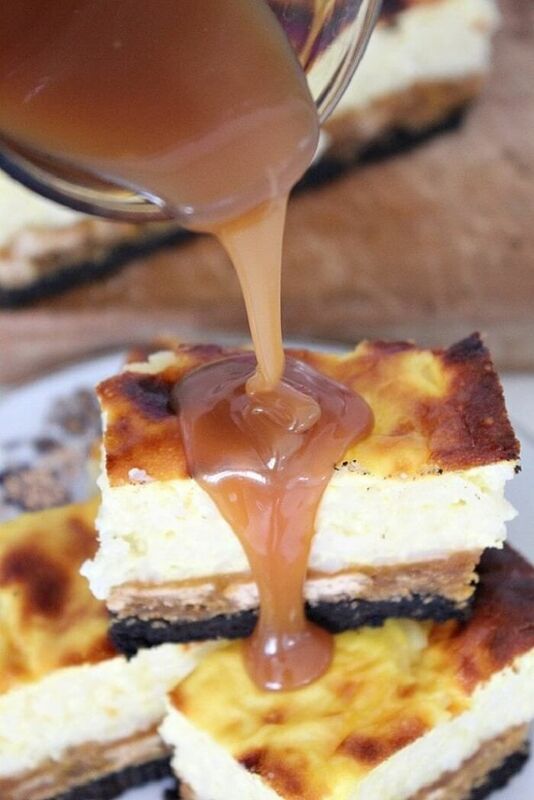 I’m sure you’ve seen recipes for pumpkin oreo cheesecakes all over the Internet. 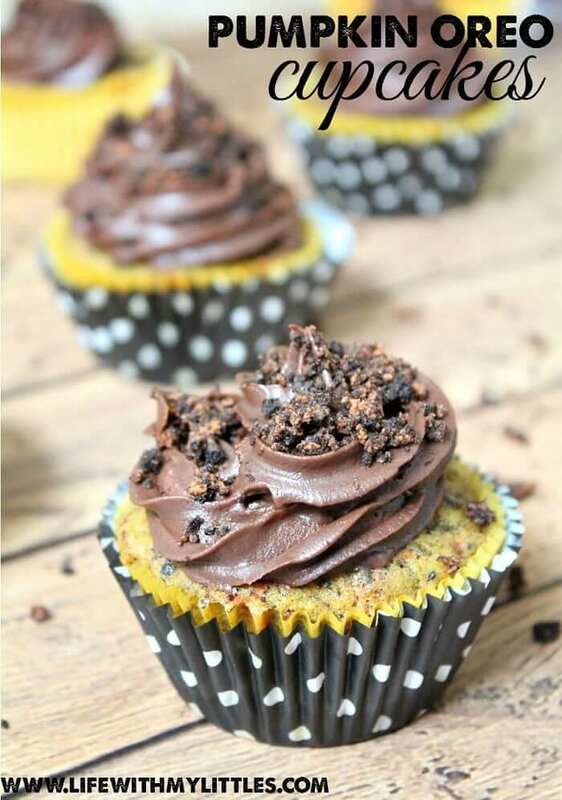 Which is all well and good, but what about a pumpkin oreo recipe for cupcake lovers?? Found it! And it is not disappointing in the slightest. 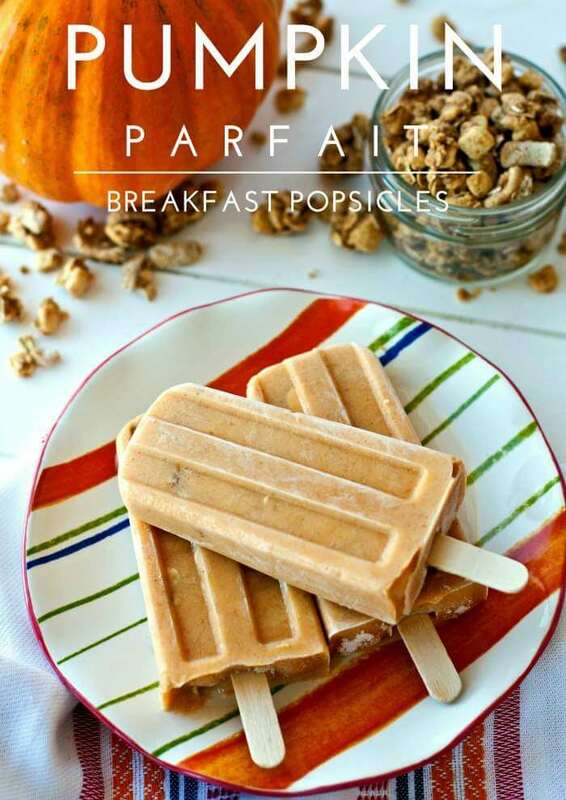 I just love love love the idea of popsicles for breakfast. Especially if you live in a hot climate like I do and don’t really get to enjoy the cool crisp air of autumn like those lucky little devils up north. 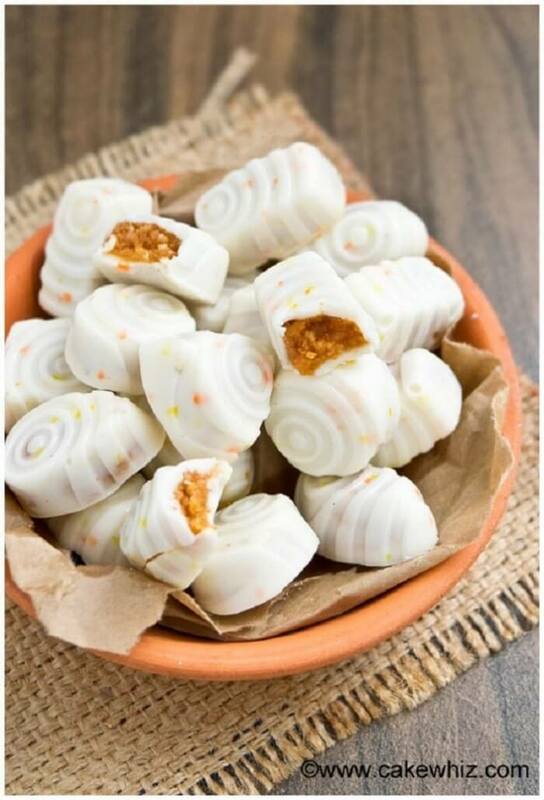 These are made with yogurt and sweetened with honey instead of processed sugar, so you can even feel OK with giving them to the kids. 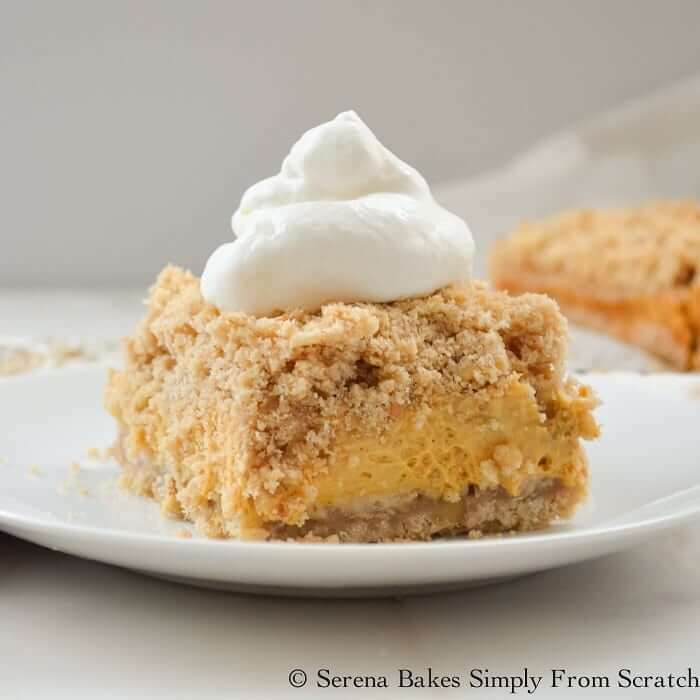 This delicious breakfast bake is like a cross between pumpkin pie and bread pudding in a delicious oatmeal form. 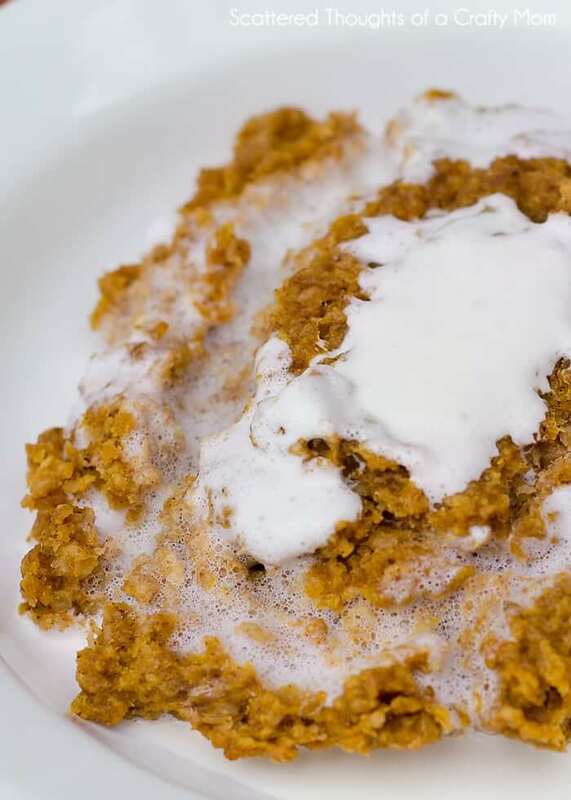 I love pouring milk on my hot oatmeal, so that thickened cream poured on top has my mouth watering like crazy. 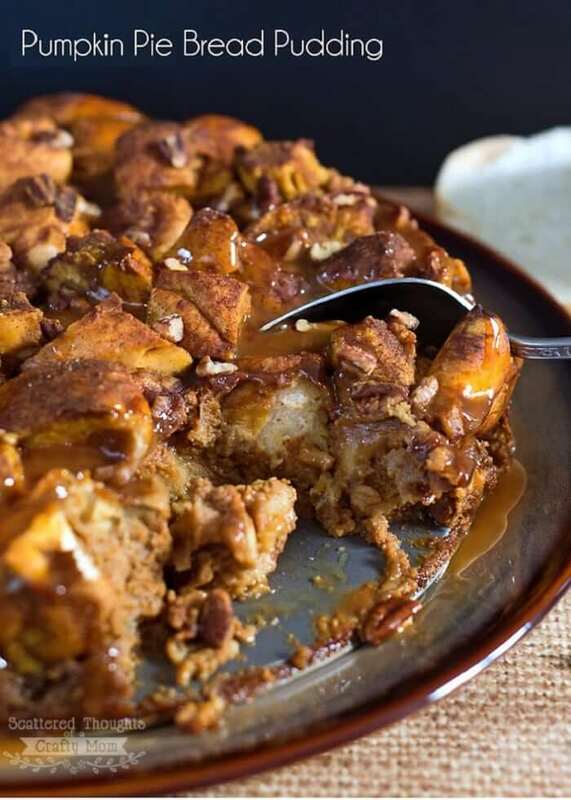 Bread pudding is one of my all time favorite cool weather treats. 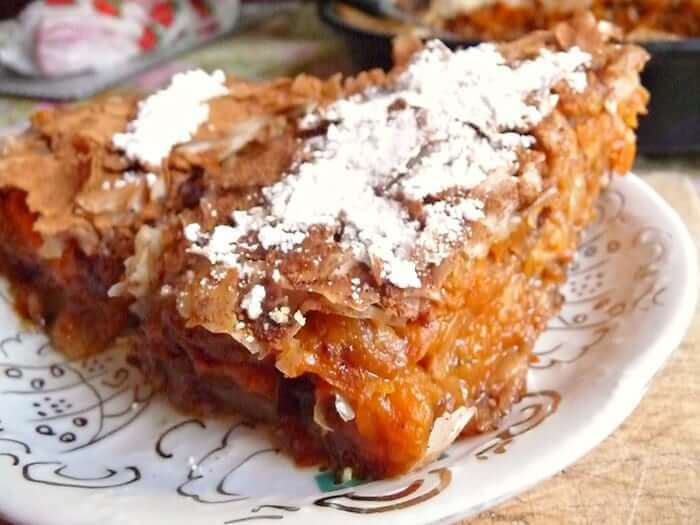 This pumpkin pie bread pudding is soon to be at the top of my list of favorites and I’m sure it will be on yours, too! 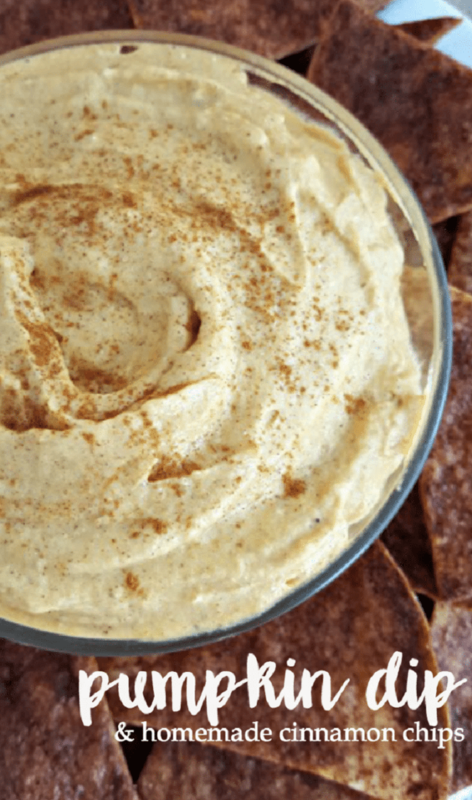 This yummy pumpkin pie dip is the perfect appetizer for your holiday get togethers! It’s gluten free – even the chips – and your guests will be begging you for more! 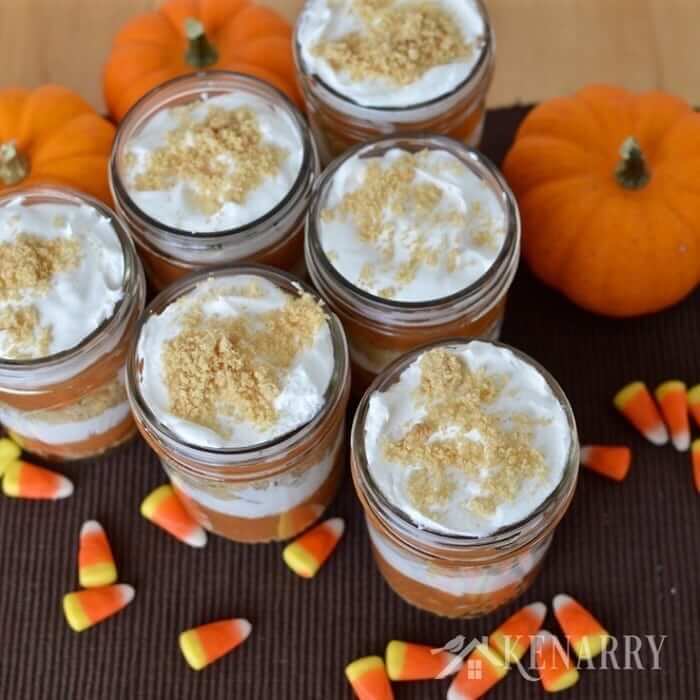 These little pumpkin pie parfaits are incredible easy to put together! 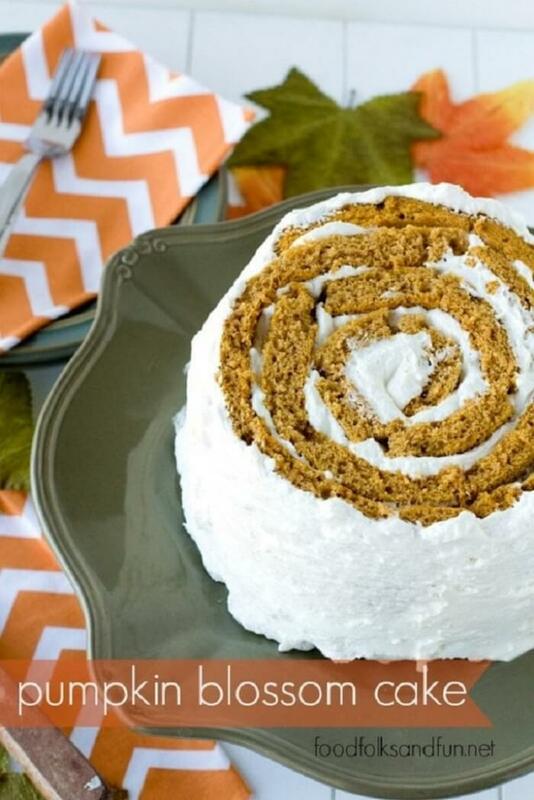 They are the perfect make ahead dessert for all of your fall entertaining! 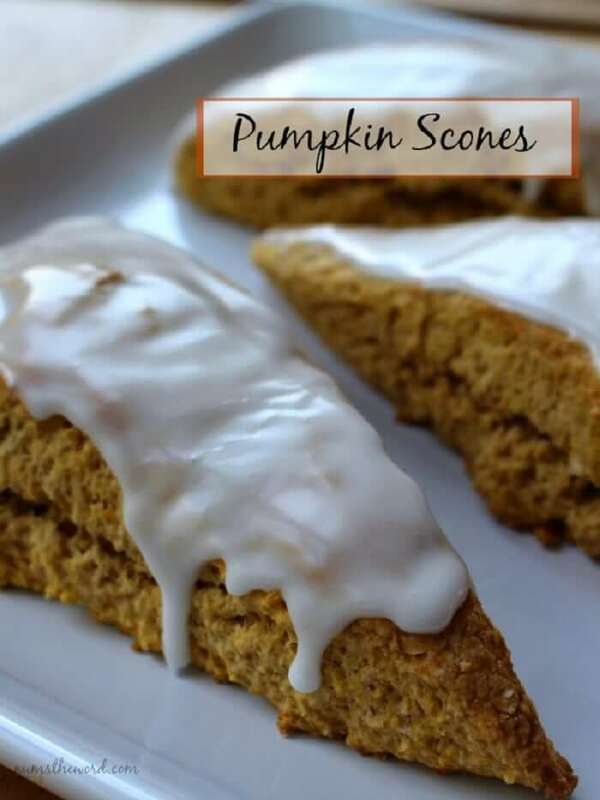 M’mm….these pumpkin scones are oh so good. 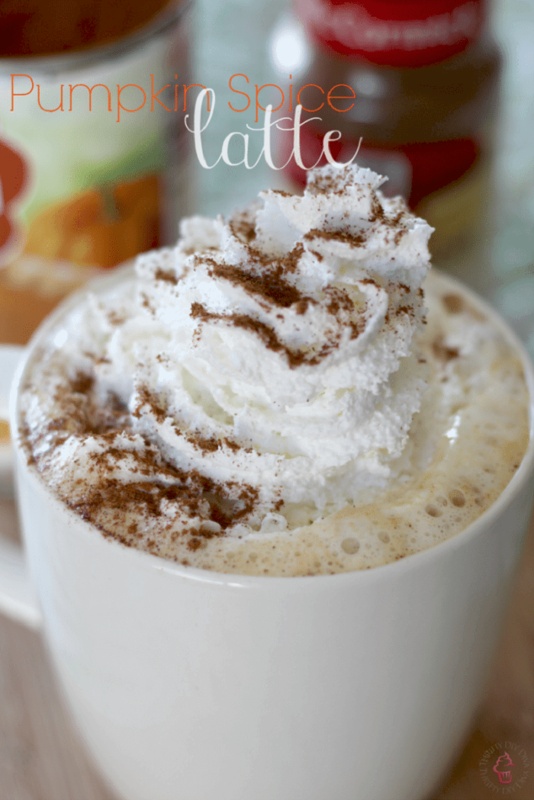 Enjoy them with a pumpkin spice latte for the perfect fall morning breakfast. This bread is proof that pumpkin pie spice makes everything even better than it already is. Don’t believe me? 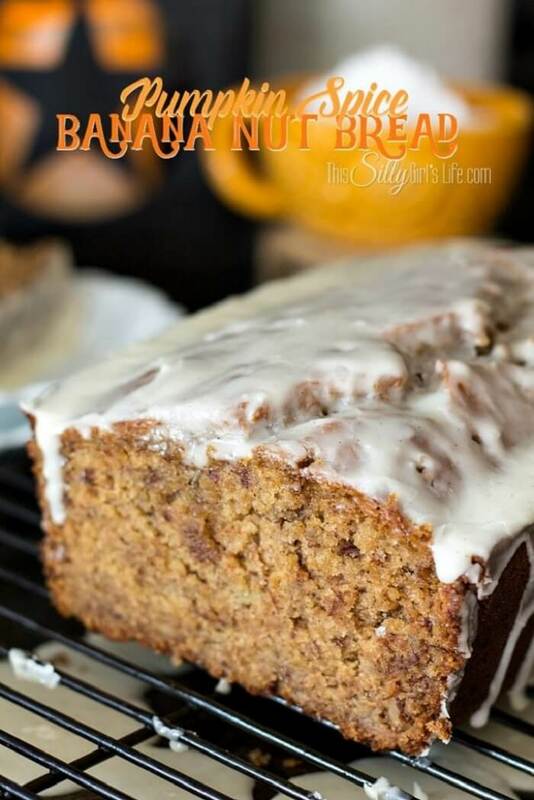 Bake a loaf of this and see for yourself! You guysssss. This is actually TWO bundt cakes stacked on top of each other and glazed to make it look like a pumpkin! Wouldn’t these be just PERFECT to serve at your next holiday dinner??? 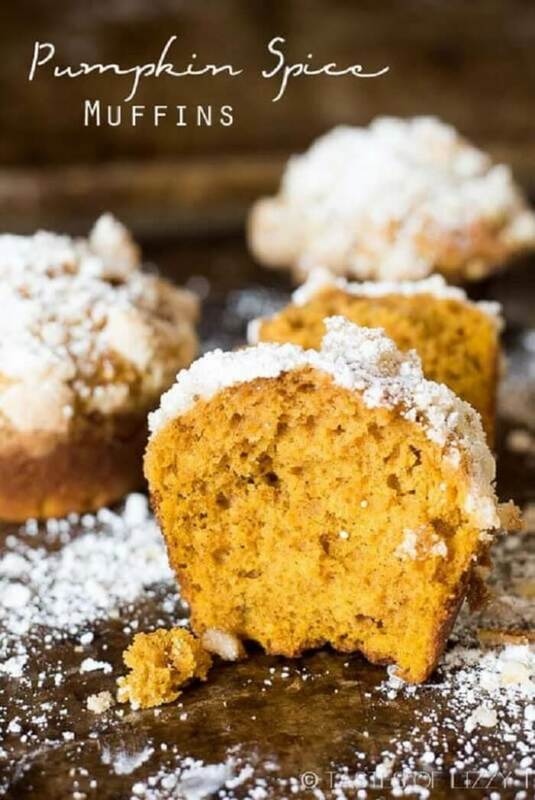 These pumpkin spice muffins are actually a twist on a pumpkin bread recipe. They’re baked with a streusel on top (yum) and topped with a little powdered sugar to add just a touch more sweetness. They’re really delicious! These are so cute and yummy! I love the little leaf sprinkles on top. 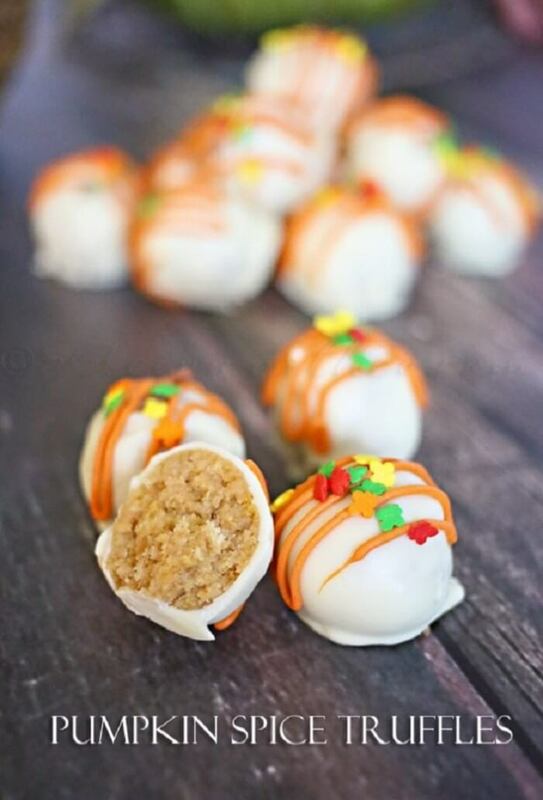 You can even put them on a popsicle stick and make truffle pops with them….or cover them in orange candy melts to make them into little pumpkins! How cute! So we already know that doughnut holes are the best part of the doughnut. 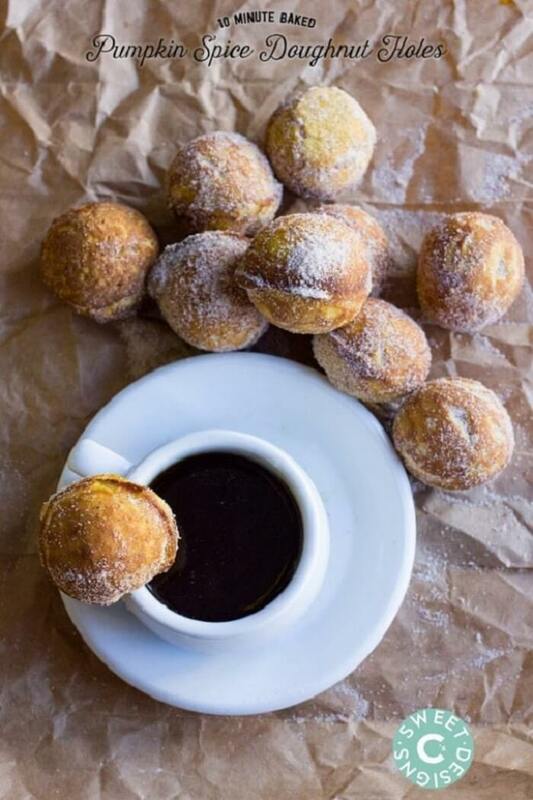 But THESE doughnut holes are made in just 10 minutes! Oh my gosh, would you just LOOK at those cookies?? 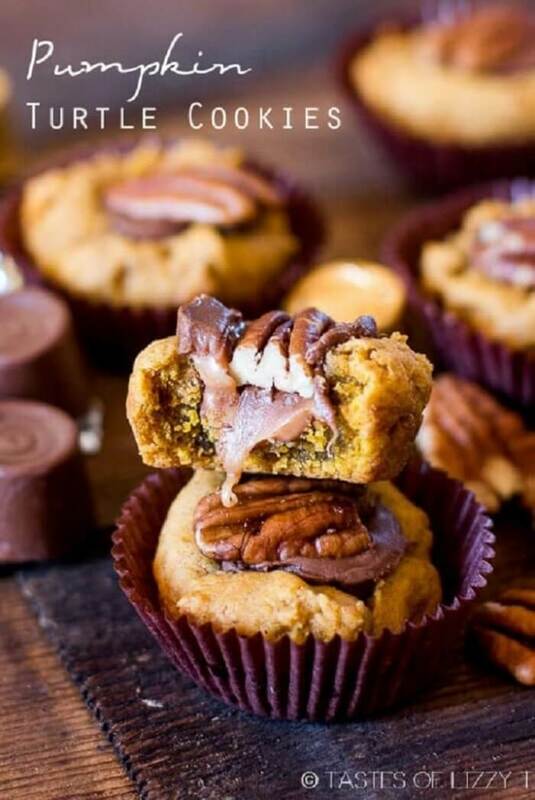 Pumpkin cookies, stuffed with a chocolate covered caramel candy and topped with pecans – they’re out of this world yummy! Rice pudding meets pumpkin pie meets oreos with these yummy dessert bars! They’re topped with a salted caramel drizzle, but absolutely taste brilliant on their own without it, too. Do you prefer soft cookies or crunchy cookies? 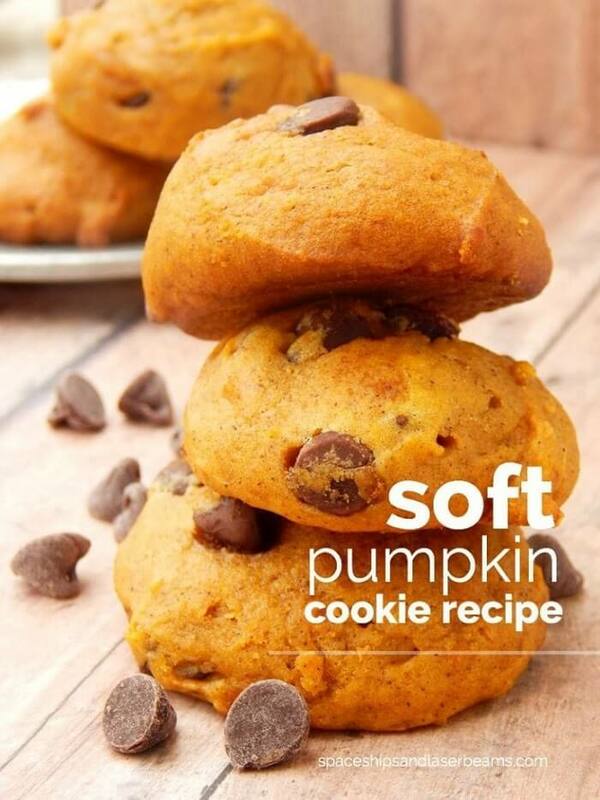 I love soft cookies, and these soft pumpkin cookies are tops! 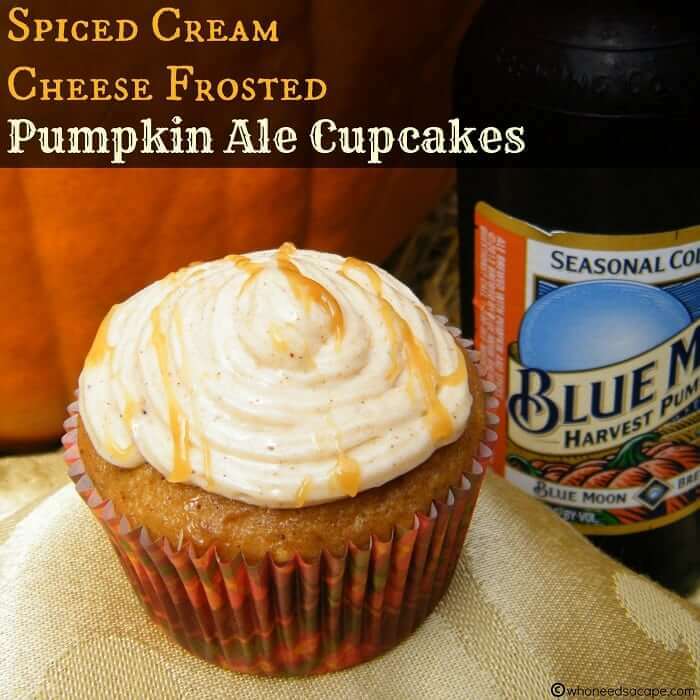 Ale lends such a depth of flavor to baked goods – and these pumpkin ale cupcakes are no different. They start with a boxed cake mix, so they’re easy to make, too! 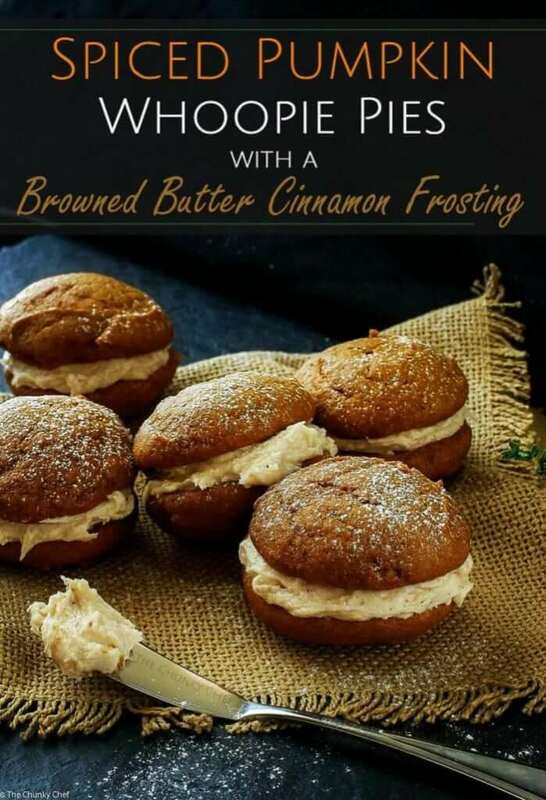 What can I say about whoopie pies? They’re fun! They make you go “whooopieeeee!” haha. But in all seriousness, these cookies are amazing. They’re fancy enough to impress guests, but are also great snacks for you and the kids. 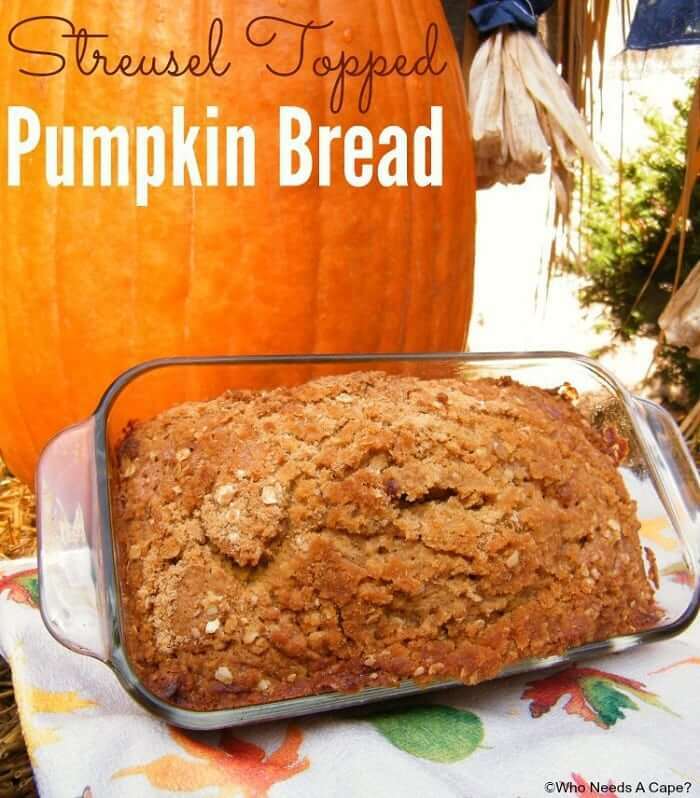 Your favorite pumpkin bread recipe just got an awesome upgrade with that amazing streusel topping! Yum! 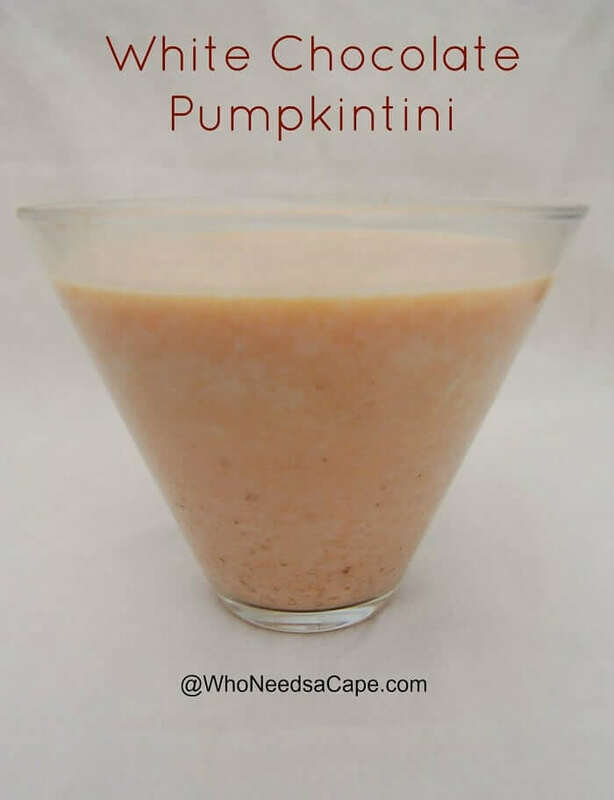 Sweet, thick, creamy, pumpkin-y, chocolaty and boozy….this is the perfect cocktail to serve at your next party!